Sit sideways or burn your leg. 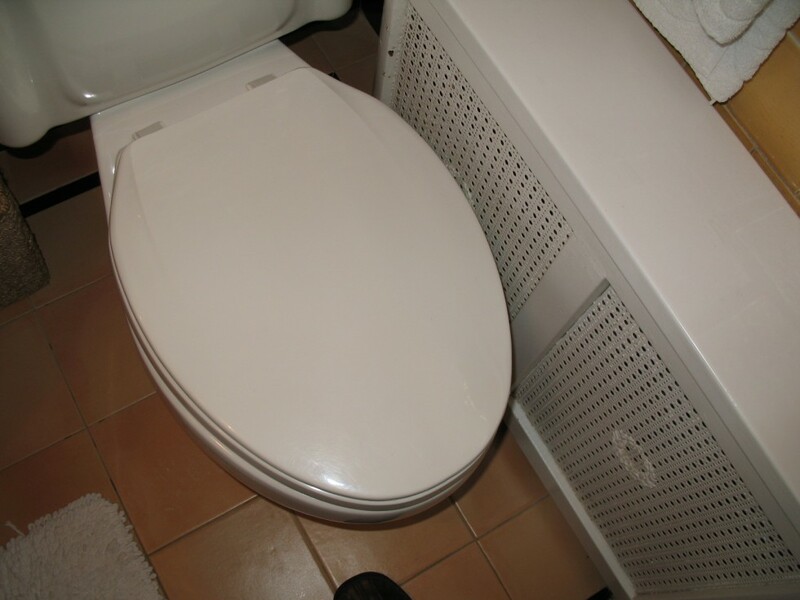 A minimum clearance is required from the center line of the bowl and the radiator. Obviously this was not adhered to.